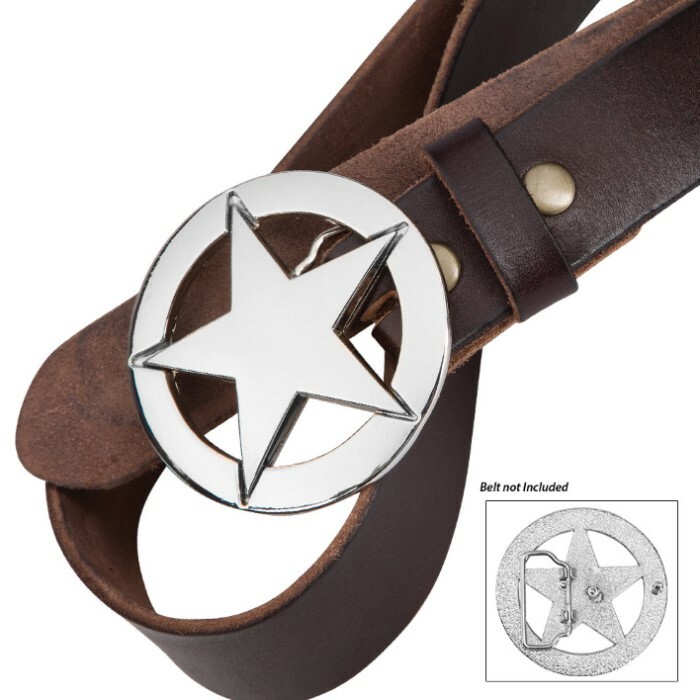 Texas Star Belt Buckle | BUDK.com - Knives & Swords At The Lowest Prices! “The stars at night are big and bright! 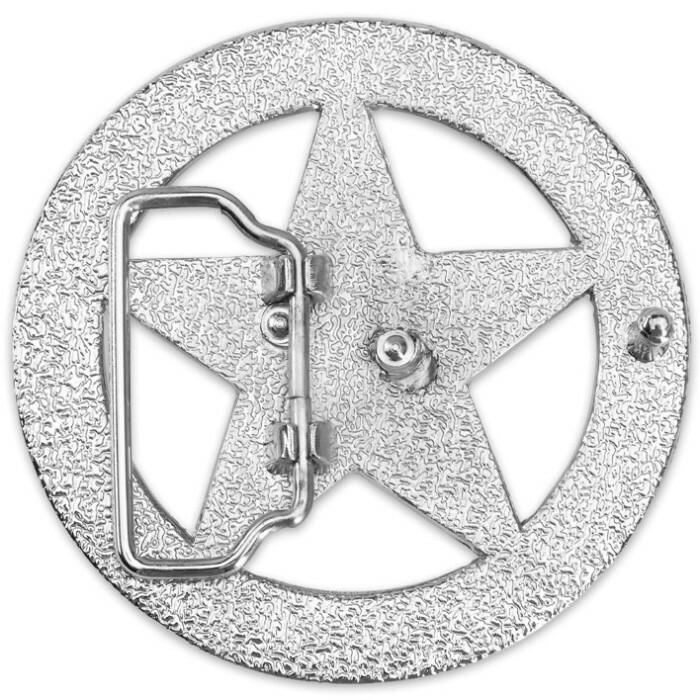 Deep in the heart of Texas!” You can wear this Texas Star Belt Buckle with pride. 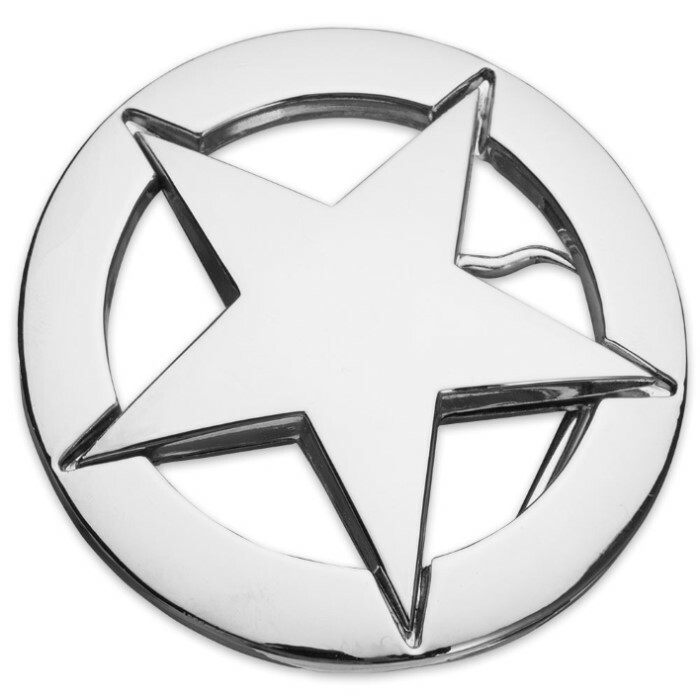 This belt buckle is made of cast metal with an attractive mirrored finish. It has a sturdy metal belt fitting and is 3” in diameter. Good looking belt buckle. Bigger than expected. Thanks BudK!